The fate of the Watchung school playground is still up in the air as the Montclair School District begins the bidding process for the neighboring Watchung Field overhaul and expansion. Plans call for the playground’s square footage to shrink up to 30 feet and possibly result in the removal of two pieces of playground equipment as a result of the field expansion. Watchung Field is used for recreation and scholastic lacrosse. The field is home to the Montclair High School field hockey program, but it is not of regulation size for varsity lacrosse games. The expansion would create a regulation size field. The field repairs are expected to cost $1.3 million. No money has been budgeted for the playground. The playground, which is located on North Fullerton Avenue across the street from the school, sits at the northern edge of the field. District business administrator Emidio D’Andrea and buildings director John Eschmann have been in discussions with the district’s architects and playground vendors, on possibilities for the playground including relocating the playground or extending it away from the field. Watchung PTA president Sam Schoenfield declined comment on the matter, only saying that PTA officials would be meeting with Eschmann and the school’s principal on April 11 to discuss the playground. 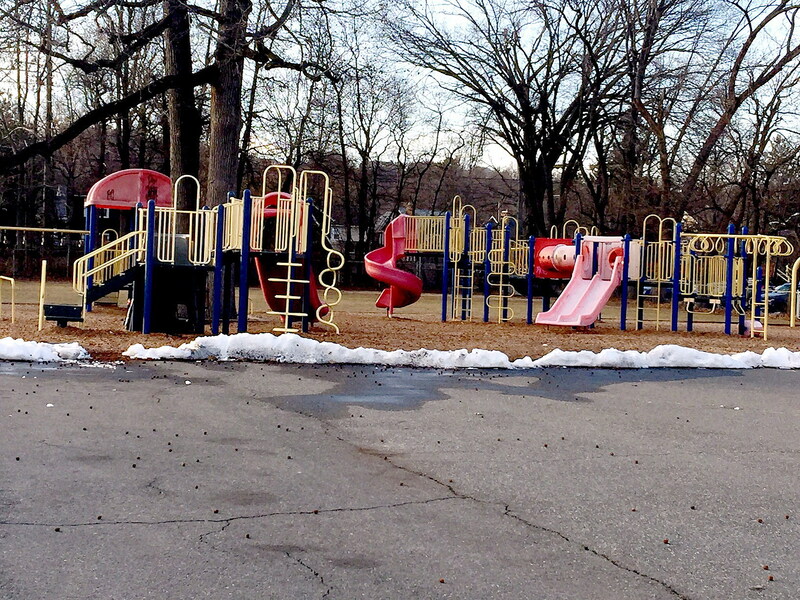 In February, in response to questions and concerns from parents, the district asked its architects and engineers to take the playground into consideration ahead of a forthcoming field survey. At the April 3 meeting, Board of Education members were wary of taking any steps on the field renovation until the playground question was settled. BOE President Laura Hertzog said that the bids needed to be advertised for the field as soon as possible, since the field project has been put off long enough. But, she said, there was no reason that the bids could be sent out for the field, while the district worked on finding a solution for the playground. Board member Eve Robinson said the district had been getting a lot of phone calls and emails from Watchung parents concerned about what would happen to the playground. She also emphasized that the school cannot start the new school year without a playground available for students’ use. “I don’t want the field being put off any more,” said Vice President Joe Kavesh. But he said that the BOE would not support a field overhaul project if the playground issue was not properly dealt with. The district will be accepting bids for the field work up through April 25. The Watchung Field overhaul is expected to cost $1.3 million in total. Construction costs are expected to be $1,090,000, with an additional $109,000 budgeted for contingency purposes. The remaining costs include $97,500 for architectural and engineering costs, $500 each for legal fees and reimbursable costs and $2,000 for permits and state fees.